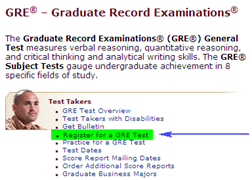 GRE is a mandatory exam which all students aspiring to pursue Masters in USA. The scores in this exam is a vital parameter on which your admission to US Universities is determined by. The prep for this exam starts right from the 3rd semester by many students. The prep goes for about 3 months at various training institutes in Morning /Evening batches. Now with the advent of technology students have mobile phones powered by Android which has to be put to good use by installing FREE Apps which can help you prepare for the GRE Quant and GRE Verbal Sections of exam while travelling to/from college or you can have a group study with friends with wordlists. 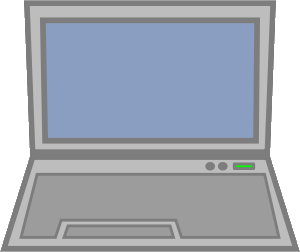 Here are 5 Free Android Apps To help you ACE the GRE Exam. 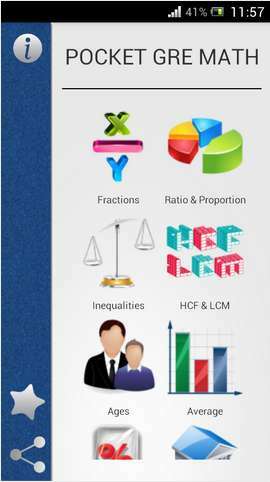 This app has a collection of 550+ quantitative aptitude questions and word problems which help you in preparing for the arithmetic section of the GRE Exam. 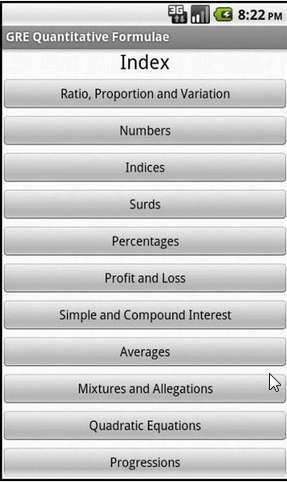 Important formulae for each topic are given for reference. Detailed solutions to all problems are given to check in case you get a wrong answer. GRE requires a good vocabulary and to improve your vocabulary GRE has wordlist of 4000+ words. 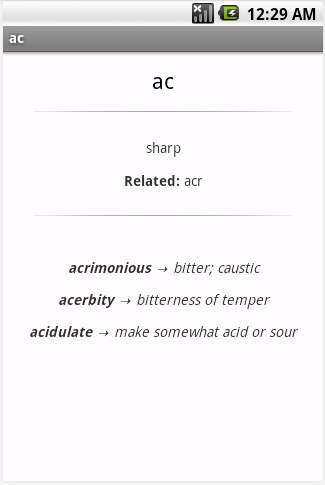 You might be aware of a few but there are for sure words you have not come across in your regular reading. Now to learn these new words one needs to practice. One cannot mug up all words and these words need to be also learnt with their usage. 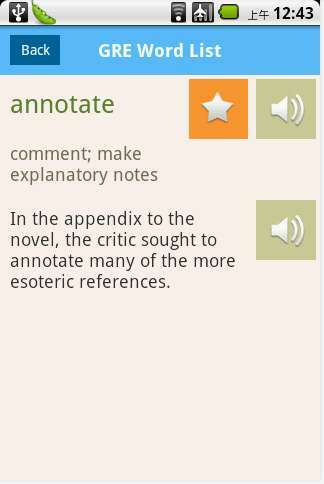 To help learn these 4000+ words you can make use of the Painless GRE Android App. 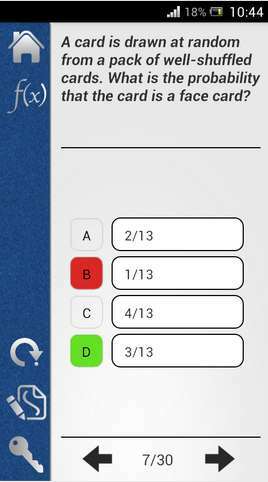 This app comes with most of the commonly asked words in the exam and also tests users with a variety of exercises like ( word->definition, definition->word, sentence completion, etc.). It also has the traditional flashcard to test yourself. 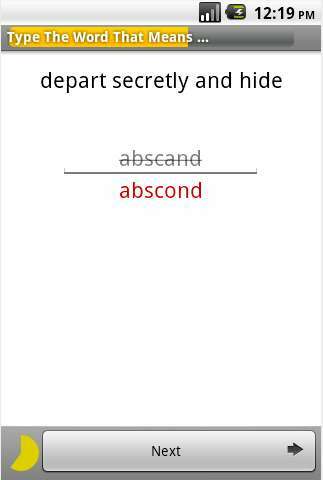 To help you on the pronunciation the app comes with pronunciation of words also and the best part is this works offline ( So no need of internet to learn pronunciation ! ) but this drastically increases the app size to ~ 26 MB. You can also keeping track of learning progress and mark words as mastered which will be less often repeated so that you can learn more new words. 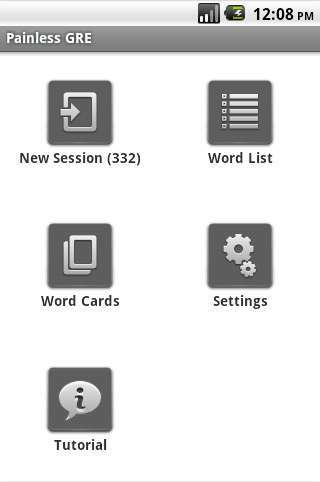 This app is purely for learning the 4000 + words for the GRE exam. 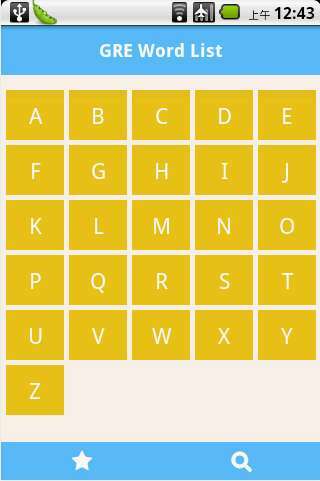 This app provides a nice interface from where you can start learning word by each alphabet.The pronunciation is also available for words but this required network connection. If you are stuck on a word, you can add it to the favorite list to review it later. It also supports search by word titles. 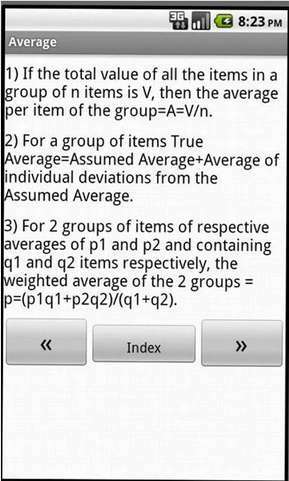 The quantitative section can be aced if you know the formulae and this is app help you learn/revise quant formulae from a wide range of topics for the GRE Exam. 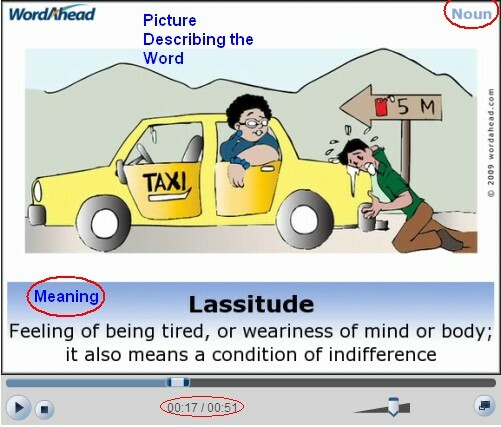 Root words help in taking a educated guess in case you are not aware of the answer in you exam for a set of words. This app helps you learn the root words with a variety of exercises like ( root->meaning, meaning->root, meaning->words etc. ) .